Most recording artists in the Christian Music industry use their music to help people -- or at least try to. But what is special about Fred Martin is the way he uses music to help people. In an interview with ChristianMusic.com from his home now in Marina del Rey, California, Martin talked about his life as a Christian, a musician and a teacher, and particularly about his efforts to help get kids off the streets and into the music studio. A native of Compton, California, the home of N.W.A. and Ice Cube, Martin taught himself to play the piano and organ. “I practiced at church,” Martin tells ChristianMusic.com. “It was the Tower of Faith. I would play for the choir, for their rehearsals.” That was even before he was in his teens. Then, in 2002, Fred Martin started the Urban Entertainment Institute, at 67th St. and Crenshaw, in L.A. “It’s completely free. We have six teachers,” Martin says. “It starts after school for kids six and up. They learn music, dance, even Mandarin Chinese.” Martin explains that the public schools don’t teach Chinese, but that it’s important to learn in today’s society. “The kids learn life through the arts,” as Martin puts it. The classes run until 8pm every day. On Saturdays, Fred takes time out from teaching vocals to teach Bible study. “I can’t do anything separated from God,” Fred explains. The school is supported by the Dr. Phil Foundation among other generous donors, which allows the classes to be free, so that nothing can stop interested kids from getting off the street and into music. The band takes its name from the Hebrew tribe of musician priests, which weren’t allowed to own land. “The priests were supported by the other eleven tribes,” explains Martin. “Today, those eleven other tribes are corporate America.” The band may soon be traveling to Japan, where the album is scheduled to be released, according to Martin. 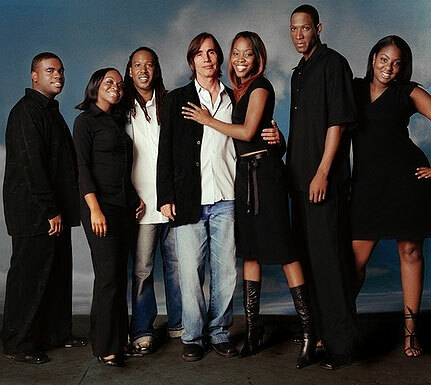 The kids get exposure to another form of education, as well, in the person of musician Jackson Browne, who, no doubt has his share of music-industry stories. 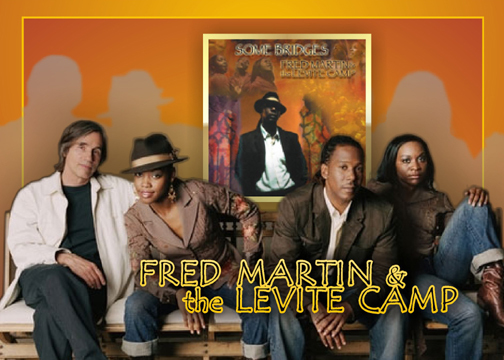 A good friend of Martin’s, Browne was heavily involved in the “Some Bridges” album. Browne wrote several of the songs on the album and performs several of them. Martin met Browne in 1993 when Martin’s Hamilton High School choir was invited to sing with Browne at a benefit concert in Beverly Hills for the Fulfillment Fund, which raises money for college scholarships. They have been friends and have worked together ever since. “Some Bridges” took them a couple of years to write and produce, Martin says. Even the line from the title track is a collaboration. Browne wrote, “some bridges are falling down,” and Martin followed up with “some bridges are still around.” The first part bemoans the erosion of help to the underprivileged in the inner cities. The second part is an honest expression of hope -- from a guy who helps bring hope to the inner city every day.